Flat irons are devices that women use to make their hair stylish. These days, manufacturers are making devices that are safe and easy to use. These irons not only make your hair straight but also curl your hair to make it look beautiful. 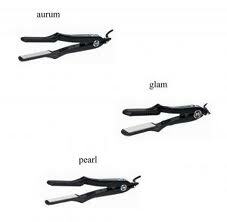 There are various manufacturers who come up with different types of flat irons. However, there are a very few companies who manufacture irons that are made with perfection. Flat irons are also called straighteners. http://socapusa.com/index.html is one such company which is striving towards making the world's best straighteners. She by So.Cap flat irons are made with high quality and advanced technology and a person is bound to see results if it is used properly. • The first most important thing that girls should do is prepare their hair to be straightened or curled. Different styling products and exposure to dirt generally makes the hair dirty and greasy which is why the hair has to be cleaned before using the straightener. Basically the hair has to be rinsed by using shampoo and conditioner. After rinsing, it has to be blown dry until it is completely dry. • The next step is to determine which flat iron is the most appropriate one to use. SHE by SO.CAP.USA flat irons are generally professional and can be used easily. It also keeps your hair healthy. Generally straighteners come with 2" plates but people can purchase bigger plates if they have thicker hair. • While using a flat iron, make sure the temperature is at the right setting. A higher temperature is required for curly hair or hair with more volume whereas a lower temperature is perfect for all other types of hair. • Next step is the main part where the hair has to be straightened or curled. To straighten your hair, use a comb first to make it smooth. Make sections so that you can straighten your hair by each section. Once you've made sections gently press it and draw the iron through each section one by one. In order to create curls, you will need plates that are curved. The procedure to create curls is the same except for the angle in which the flat iron has to be held. Once the iron is held firmly and pulled through an angle, it automatically creates curls without any problems. • Styling your hair is one aspect but protecting your style is another important aspect. In order to maintain your hairstyle throughout the day, apply a hair spray that can protect your style. • Do not forget to clean the flat iron periodically. It has to be maintained properly in order to achieve regularly beautiful results. The following steps should be followed in order to successfully make your hair look nice and stylish. My old Flat iron is out of order and I am looking for a new one. I give SHE by SO.CAP.USA flat irons a try.Thanks for sharing!